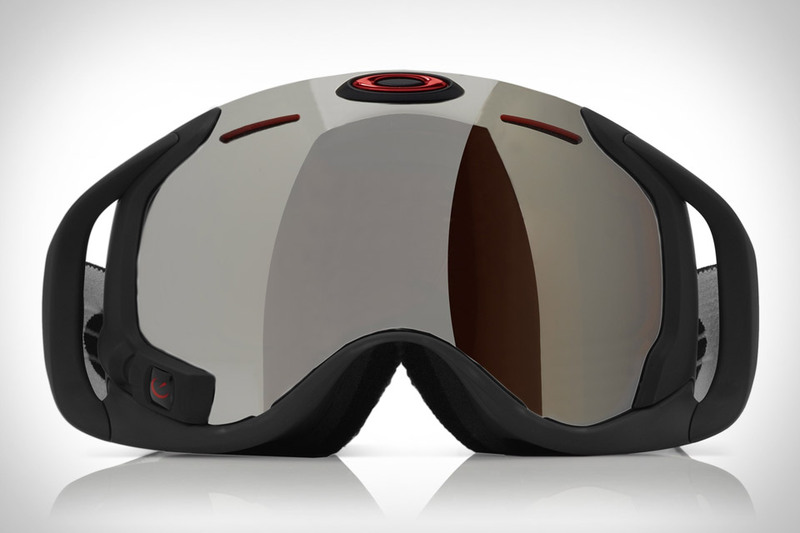 Who needs touch-friendly gloves when you can wear the Oakley Airwave Goggle (£500; roughly $800). Apart from sporting Oakley's best goggle technologies, the Airwave also features GPS and Bluetooth to let you record and view speed, jump analytics, and other stats, and connects to you iPhone via an app to control your music, view text messages, and manage incoming calls. All of which lets you keep your phone where it belongs: in your pocket. We're big fans of TaylorMade's RocketBallz woods (that's what she said), so we're naturally excited about the new TaylorMade RocketBladez ($800-$900). Available in standard and tour models, these new irons feature a revolutionary speed pocket — a 2mm-wide slot in the sole that flexes and rebounds for increased power — that was previously only seen in the aforementioned woods and Rescue clubs. Even better news: it helps most on low-face mishits, which are the most common shots among amateurs. It might sound ridiculous, but when you're riding a bike at a high rate of speed, you have just as much influence on the aerodynamics as the bike does. Make sure you're splitting the air effectively with the Bell Star Carbon Motorcycle Helmet ($650). Designed to minimize buffeting and lift, it also offers Velocity Flow Ventilation with FlowAdjust for superior ventilation and temperature control, and is super lightweight thanks to its 100% carbon fiber shell. Available in five different colorways. Why strap a camera to your head when you can simply wear it instead? The ZEAL iON HD Camera Goggle ($400) puts an eight-megapixel sensor and a 170-degree wide angle lens right between your eyes, capturing 1080p video or full-quality stills directly from your point of view — and letting you review your shots via an in-goggle viewfinder. They still have to work as actual goggles, and they don't disappoint there, either, with a high-density, anti-fog infused Optimum lens, impact resistant frame, and dual strap adjustments.